The 2018 CWRU Leadership Conference showcases the resources necessary to lead with purpose, so participants are inspired to positively impact our student organization and leadership community. 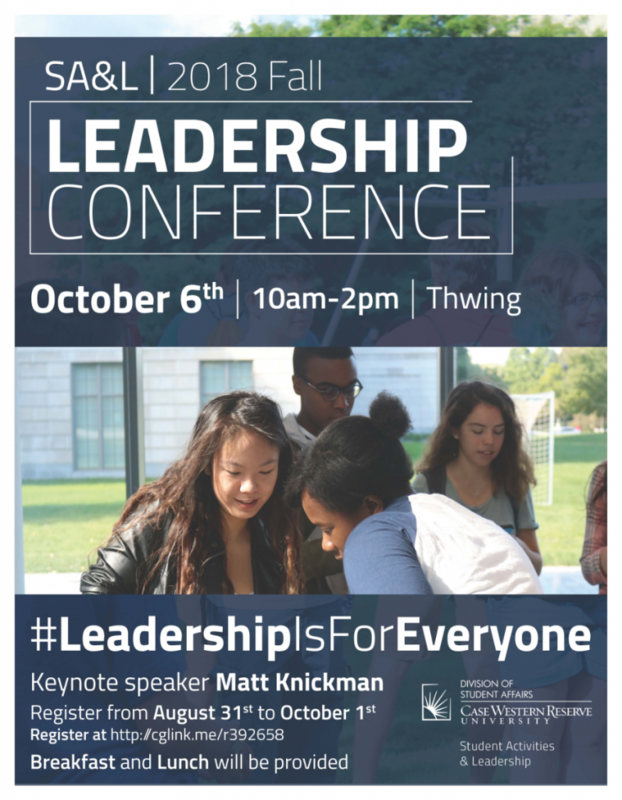 At the Fall Leadership Conference, participants will have the opportunity to meet and interact with other student leaders from across Northeast Ohio and together, they will connect with CWRU staff, faculty, alumni, community members & other presenters who are passionate about topics related to leadership and organizational management. Techniques to foster belonging and pride. Strategies to develop authentic leadership identities. Decision-making skills to lead campus through complex situations.